Yamazaki Puncheon 2013: The name says it all—an exceptional puncheon-aged Whiskey you need to sip to believe. Yamazaki 18 Year Old Aged: in a mix of ex-Bourbon, ex-Sherry and Japanese Mizunara oak casks, this spirit sets the gold standard, having won numerous accolades and awards, including five consecutive Double Golds at the San Francisco Spirits Competition. 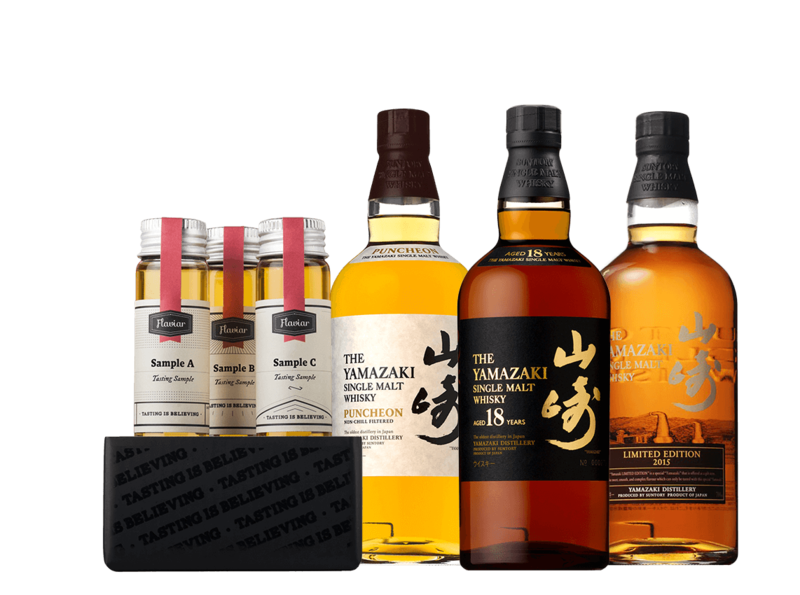 Yamazaki 2017 Limited Edition: A limited edition Sherry, Port and Bourbon cask extravaganza. Truly a Japanese jewel on every level. Shall we go on? What does Vault Selection LIII. Yamazaki's Finest taste like? The Flavor Spiral™ shows the most common flavors that you'll taste in Vault Selection LIII. Yamazaki's Finest and gives you a chance to have a taste of it before actually tasting it. It is an outstanding assortment of Japanese Whiskies!